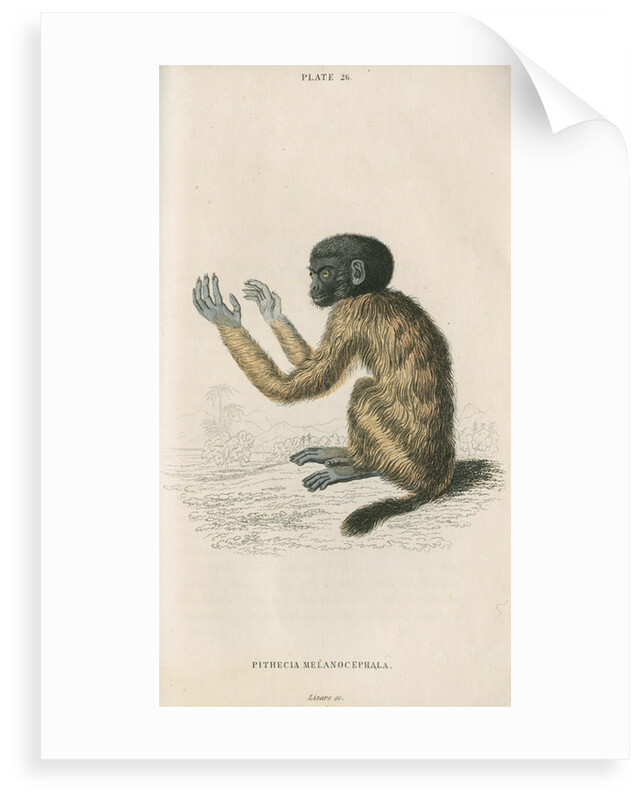 Zoological study of a golden-backed uakari, or black-headed uakari Cacajao melanocephalus, native to South America. Shown seated on the ground and shown slightly from behind, with arms extended. A scene of forest and mountains is presented behind. 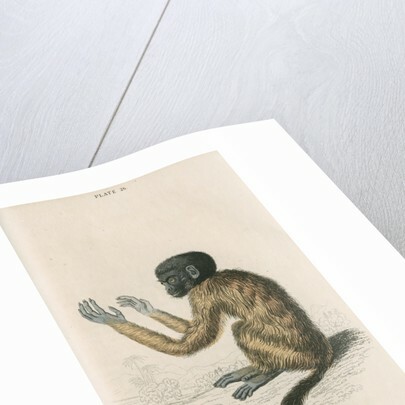 Plate 26 from The natural history of monkeys, by Sir William Jardine (Edinburgh, 1833) The Naturalist's Library. Mammalia. Vol.1. 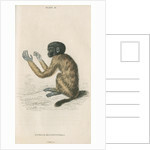 This new world monkey was first described by Alexander von Humboldt, whose 1811 work is referred to here by William Jardine. Referred to in the text as "The Cacajao". 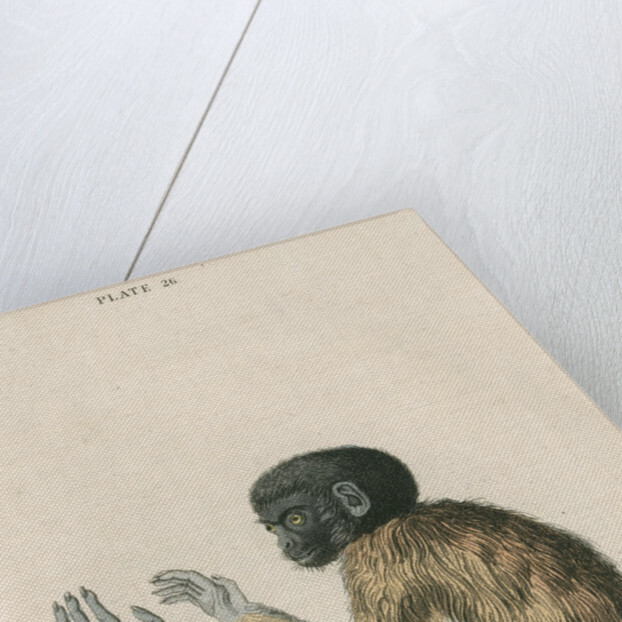 The plate is inscribed: "PLATE 26. PITHECIA MELANOCEPHELA. Lizars sc." More by the artist William Home Lizars.